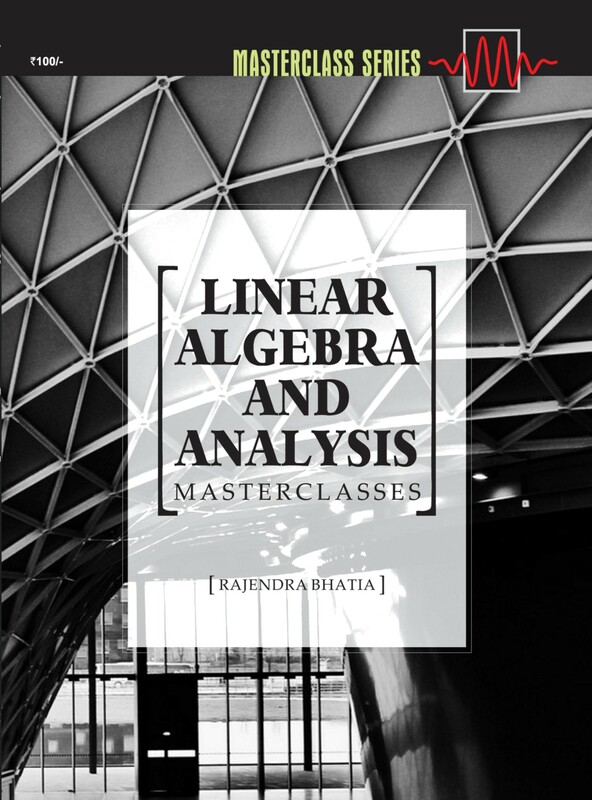 The Indian Academy of Sciences has published a new eBook in the Masterclass series, titled ‘Linear Algebra and Analysis ’, directed primarily at students and teachers of the undergraduate level. The eBook is a compilation of ten pedagogical articles on the topic– eight of which are sourced from Resonance, the Journal of Science Education, and two additional articles authored by Professor Rajendra Bhatia. The articles in the eBook are written in a style that makes them appealing to readers from diverse backgrounds, approaching the subject in a manner of instruction that is different from conventional textbooks. This allows readers to correctly perceive several crucial aspects of Linear Algebra and Analysis, enabling them to encounter problems in the field with clarity and confidence. Professor Rajendra Bhatia of the Indian Statistical Institute has made vast contributions in the fields of mathematics. Earlier, he was at the Tata Institute and in the University of Bombay. He has held visiting positions at several universities, the first of these being at the University of California, Berkeley, in 1979, and the latest being at Shanghai University in 2015. Professor Rajendra Bhatia is a master of exposition and hence, quite inevitably, the author of several books. It is, therefore, appropriate that a collection of his essays, which have previously been published in Resonance, now be made available in a convenient format for the benefit of anyone who wishes to the comprehend the subject in an elaborate, yet simplified, manner. Get your copy of the eBook here.